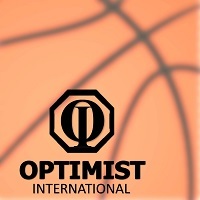 Sunrise Optimist Club Hot Shot Basketball Tournament is February 10, 2019. FREEHOLD, N. J. – The Sunrise Optimist Club of Freehold will once again host its fun, inexpensive and competitive activity, the Kylie Pinheiro Memorial Hot Shot Basketball Tournament, on Sunday, Feb. 10, for its third year in a row. The event, which is open to girls and boys from grade levels 4 to 9, will start at 12 noon for girls of all grade levels; and for boys, from grade levels 4 and 5, the tournament will start at 1 p.m.; grades 6 and 7, 1:45 p.m.; and grades 8 and 9, 2:45 p.m. The tournament will return to the YMCA of Western Monmouth County (470 East Freehold Road, Freehold). The fee to participate is $5 per entrant, payable to Sunrise Optimist Foundation of Freehold (Sunrise Optimist Club, P.O. Box 351, Adelphia, New Jersey 07710). The deadline to register is February 3. All participants will receive a free Hot Shot t-shirt. 1st, 2nd and 3rd place winners will receive trophies for their respective achievement levels. Tournament rules for Hot Shot include a one minute time limit, mandatory dribbling to each spot, at least one foot must be inside the spot when the shot is taken, only two successful lay ups allowed, five bonus points awarded for shooting from each Hot Spot, total number of points wins, and ball in the air at buzzer counts. For more information on the tournament, email Brian at furieb@hotmail.com. For more information on the Sunrise Optimist Club of Freehold, visit the official website at: http://freeholdsunriseoptimists.com.